Because marine governance in most countries is sectoral, maritime policies are frequently fragmented, reactive, and even contradictory, meaning that marine resources are underutilized and poorly protected. To avoid these problems, the concept of integrated national maritime policy (INMP) has been developed. 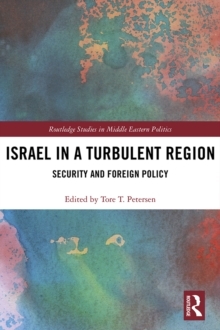 This book examines this concept, analysing its current application in four countries - Australia, Canada, UK and USA - whilst discussing at length how it might be applied to Saudi Arabia. 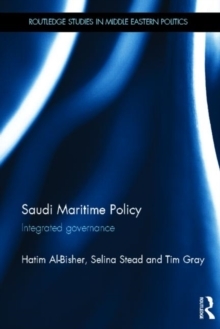 Based on extensive fieldwork carried out in Saudi Arabia - including interviews with officials in government departments with maritime responsibilities, and a survey administered to 230 stakeholders - the book offers a unique insight into INMP in the Kingdom. The book provides a practical template for developing the political will and civil constituency in Saudi Arabia necessary for the introduction of INMP. 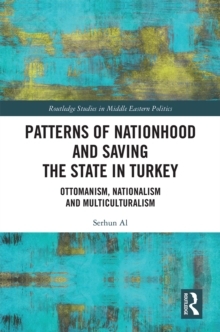 In setting out in detail its benefits, this book could help build the momentum in Saudi Arabia required to implement the concept as well as attract other countries to do the same. A significant contribution to the growing literature on ocean governance, this book will be of great importance to policy makers and scholars of Middle Eastern studies, marine governance and comparative politics.